Kuwait- October 9, 2018: The Sheikh Abdullah Al Salem Cultural Centre announces it’s schedule of programmes covering an exciting range of topics launched through it’s Academy, an umbrella educational initiative that presents transformational learning experiences for different audiences in Kuwait. All age groups can benefit from the programming of their choice starting from October until 31 December 2018. The new programs, focusing on Culture, History, Science, and Art, aim to spark curiosity and interest among the different communities in Kuwait, in line with the Academy’s mission of cultivating an atmosphere of exploration, fresh thinking, collaboration, and exchange of innovative discoveries. First launched in July 2018, the Academy provides opportunities to gain understanding on new, futuristic trends and strategic findings that are transforming our world. The new season of programmes will nurture fans of art, photography, and drawing by artists-in-residence, Naseer Behbehani and Ahmed Muqeem. Science lovers can learn more on new-found solutions including ‘Nutritional Psychology’ that shed light on mental health and lifestyle, through a workshop delivered by Dr. Kamel Farraj, Professor of Physiological Psychology, Kuwait University. A highly-anticipated workshop on Cryptocurrency & Blockchain Technology will be hosted by Kuwait’s first cryptocurrency broker service founder, Talal Al-Yaseen of YallaBit.com. Engineer Fawaz Al-Qurayan will explain why hydroponics are absolutely necessary for traditional farming and sustainability. Programme participants will also benefit from a wide range of international experts from world-renowned educational institutions. Dr. Ahmad Dallal, Dean of Georgetown University in Qatar, will assess Arabic-Islamic scientific culture in the modern world, while Dr. Jaakko Hameen-Anttila, Professor at the University of Edinburgh, will examine the long-lasting impact of Arabic literature on the Western world. Bringing culture and history to light, Dr. Bashir Saade, Lecturer at the University of Stirling, will dive into the blind boundaries between philosophy, religion, and politics. The Kalemat programme will pay homage to well-established Arab writers and promote emerging local authors, who will have the opportunity to read 20-30 minutes of their pre-selected Arabic novel or poem, followed by a 30 minute discussion with the attendees. Science lovers will interact with prominent local or international scientists as part of the Caf� Scientifique programme, a grass-root public science concept imported from the UK. Sitting in a public caf�, participants of varying backgrounds can participate in scientific discussions and intellectual debates ranging from gravity by Dr. Aydh Al Ajmi followed by the examination of how geology affects our understanding of science, while integrating the understanding of other sciences such as physics, chemistry, mathematics, biology, and more by Arafat Al Shuaibi. Bridging the gap between today’s youth and scholars of tomorrow, the Centre offers a broad spectrum of diversified learning forums with more advanced insights on petrology, layers of the Earth, volcanoes and natural minerals and more. Bioengineering workshops for youth 14 years and older are offered focusing on biological canvas depicting genetic frameworks, fish dissections, water quality, ocean layers and the evolution and adaptations of Cetaceans (whales). 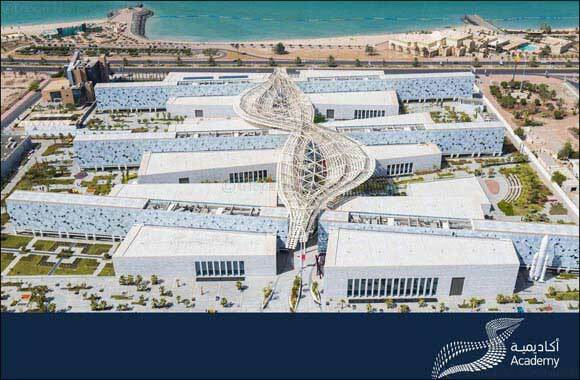 The Sheikh Abdullah Al Salem Cultural Centre was developed by the Office of His Highness the Amir of Kuwait with the vision of delivering world-class exhibitions and public educational programmes to the people of Kuwait. It is working on facilitating the exchange of knowledge and the development of critical, creative, and interpretive thinking skills.